Google continues to invest heavily into getting as many partners as it can to start using Rich Communication Services (RCS). RCS, the new standard that aims to replace SMS and MMS, was first championed by Google back in 2015 and is powered by Google's Jibe RCS cloud platform — at least in Google's embodiment of RCS. As of today, there are already 43 carriers and manufacturers that have partnered with Google to create a more dynamic and rich messaging experience. One of the most beneficial use cases of the new standard has been RCS business messaging, also known as business-to-consumer messages. So far, several companies in the US and Mexico have already signed up for Google's Early Access Program in order to better engage with their customers. And since RCS isn't a static string of text like SMS, it lets customers interact directly with messages, even allowing them to purchase a product without ever leaving their messaging app, for example. Google has also been expanding RCS support into other continents over the past year. In North America, Europe, and Latin America, several carriers have signed up, including America Movil, AT&T in Mexico, Celcom Axiata Berhad, Freedom Mobile, Oi, Telia Company, and Telefonica. As more and more carriers commit to interconnecting through the Jibe RCS Hub, more and more customers will have access to RCS messaging — right now, that customer base totals around 1.8 billion subscribers worldwide. But partnering with carriers is only half the story: in order for users to get the full RCS messaging experience, they need a device that supports RCS too. That's why Google has also brought dozens of OEMs on board, including TCL/Alcatel/Blackberry, Transsion, BLU, Positivo, Multilaser, Mobiwire, Azumi, Essential, Huawei, LG, Archos, BQ, Cherry Mobile, Condor, Fly, General Mobile, HMD Global - Home of Nokia Phones, HTC, Kyocera, Lanix, Lava, Micromax, Motorola, MyPhone, QMobile, Sony Mobile, Symphony, Vodafone, Wiko, and ZTE, as well as every Pixel and Android One device. All these devices now support RCS messaging since they ship with Android Messages preloaded as the default messaging app. 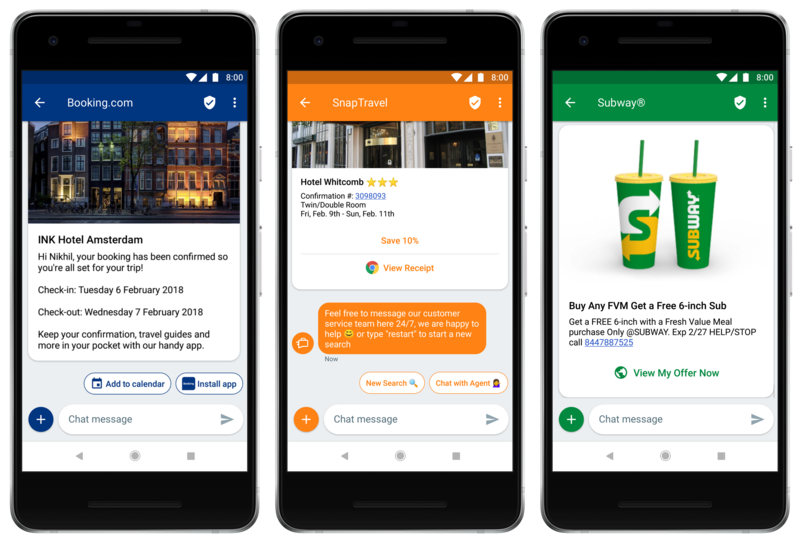 Over the coming months, Google is determined to continue bringing RCS messaging to more businesses in more regions. If enough carriers and device manufacturers get on board, we may see SMS dethroned as the de facto messaging service in the not-too-distant future.